WELCOME to Shiloh Falls --- A premier Covenant Protected Gated Community of 454 Residential Lots. 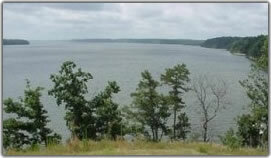 Adjacent To --- Pickwick Dam, Tennessee and the beautiful and magnificant settings in and around Pickwick Lake. Built on the rolling hills of Pickwick Lake, TN, a hamlet of eclectic homes. Whether you desire Blue Heron Pointe, Masters Court, Sandpiper Pointe, St. Andrews Court, The Legends or Vantage Pointe, there is a home or site perfect for you in Shiloh Falls. The name, Shiloh Falls, refers to its dual namesake, Shiloh National Military Park and Shiloh National Cemetery, where some 150+ years ago one of the fiercest Civil War battles was fought only about 20 miles from our peaceful and elegant community. Our closest neighbors, Savannah, TN. 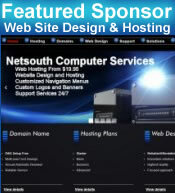 and Corinth, MS., are rich in Civil War historical significance as well. Perhaps history alone is not enough to occupy your recreational interests or leisure time. There is no other lake where three states, like Alabama, Mississippi, and Tennessee, touch right smack dab in the middle of the lake, which by the way, sits right in the middle of the Tennessee River, a river that flows through four states. If boating is your pastime, then Shiloh Falls at Pickwick is calling your name, where boats of all sizes voyage the waters of the lake and the river points, from which you may travel by boat to any place on the face of the earth. From the Tennessee River to Kentucky, Ohio, and Mississippi, as well as to the Great Lakes, the Atlantic Ocean, the Tennessee-Tom Bigbee waterway, the Gulf of Mexico, the Panama Canal or the Pacific Ocean, you are never landlocked at Shiloh Falls. Located On --- 900 acres of land on Pickwick Lake in Hardin County, Tennessee which makes it one of the finest resort and retirement areas in the mid-south. 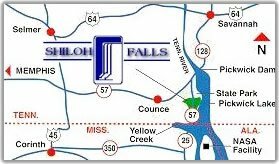 Directions To Shiloh Falls --- 120 miles from Memphis, 150 miles from Nashville and 120 miles from Huntsville, AL.